Traditionally, if a kid got held back a grade it was because he flunked a lot of classes. Conversely, if a student skipped a grade, it was because they were acing all their classes. Either case was not all that common. These days in Southern California, it seems to be a lot more common. But in both staying behind and skipping a grade is done with the specific goal involving a college athletic scholarship. This class grade maneuvering is called "reclassifying." Sometimes students may need more time to improve their academic performance to meet the grade requirements of a school they have their sights on but in other's it has more to do with competing itself. "A high end, high school athlete will reconfigure his academic status to either move back or up his graduation date," said ESPN's Andy Kamenetzky. "If you're a basketball player, it could be about getting to college faster so you can get to NBA that much quicker. 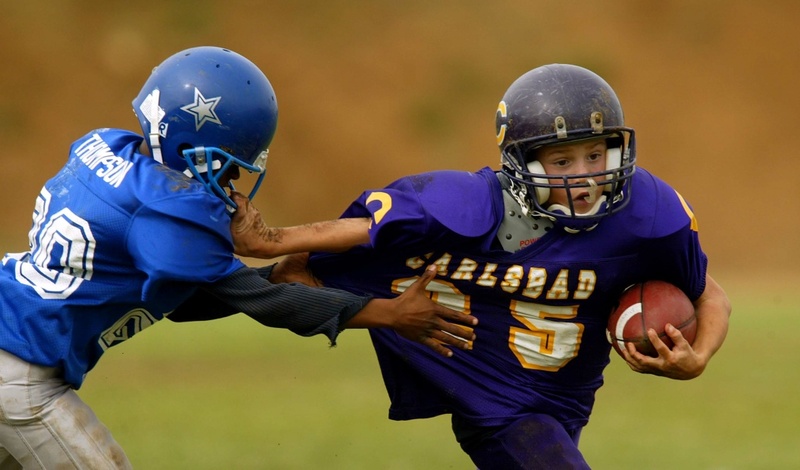 In the case of a football player, it could be about hanging back to be more physically dominant than your grade peers."